Harper said Canada now has higher home ownership than the United States because people have taken advantage of lower interest rates. OTTAWA — The kitchen-table conversation about mounting family debt found its way into the leaders' debate Thursday as three political rivals staked out their different positions on Canada's over-extended households. The exchange about housing debt came just days after a new Statistics Canada report showed Canadians hit record levels of indebtedness earlier this year — a period when they took on credit at a quicker pace than their incomes rose. Interest rates in Canada have remained at rock-bottom levels for years, which has fuelled concerns about overvalued homes and perhaps even housing bubbles in hot markets like Toronto and Vancouver. The Bank of Canada has identified climbing household debt as a point of vulnerability for the economy. On Thursday, Conservative Leader Stephen Harper said the ability of Canadians to continue borrowing in spite of global financial instability should be a source of pride. "Well, no doubt there are some people who are overextended — (but) I think the housing story is a very positive story in this country," Harper said during the debate in Calgary. "You know, you look around the world where there have been all of these financial and other crashes — a lot of them centred around the housing market. In Canada, we have seen home ownership rise to record levels." Harper said Canada now has higher home ownership than the United States because people have taken advantage of lower interest rates at a time when their incomes have been growing. "That's a positive Canadian story that we should celebrate." During the campaign, he added, the Conservatives have laid out plans that would encourage Canadians to spend even more on homes. They include his party's promises to revive a home-renovation tax credit and to examine the impact of foreign home ownership. He has also pledged to raise the amount first-time home buyers can withdraw from their registered retirement savings plans for a down payment — to $35,000, up from the current $25,000 limit. Last spring, Harper said debt-servicing costs in Canada had fallen and default rates remained extremely low. Harper's opponents, meanwhile, focused on their respective plans to help Canadians keep up with their expanding credit levels. NDP Leader Tom Mulcair attacked Harper for allowing housing prices in some areas to soar well out of reach for many Canadians. "Look at the cost of housing in some of our major cities," Mulcair said. "It is out of control. And at the same time, Mr. Harper says, 'It's OK, I've got a renovation tax credit.' How do you renovate a house you can't afford to buy in the first place?" To help cash-strapped families, Mulcair said the NDP would work to put more money in their pockets with a $15-per-day child-care program across the country and a $15-per-hour minimum wage on federal jobs. Liberal Leader Justin Trudeau said Canadians need to be reassured their wages will grow at the same speed as the value of their homes. "The fact is, for many Canadians their entire economic security is in their home," Trudeau said. "It's their savings, it's their retirement and we need to make sure that while housing prices rise, incomes are rising as well." He also reiterated his promise to take advantage of the low interest rates at the national level to invest for the future — an idea that echoes how many households have proceeded in recent years. If elected, Trudeau has pledged to borrow cash to fund what he calls job-creating infrastructure projects, even though it would mean running deficits over the next three years. He challenged Harper Thursday by comparing his plan to people assuming a mortgage or a renovation loan. Mulcair criticized both his rivals on their plans for the economy, saying Harper thinks all is well while Trudeau is promising to pile tens of billions of dollars in debt on future generations. "The prime minister wants to hit the snooze button while Mr. Trudeau is hitting the panic button," he said. The Bank of Canada has been forced to lower its trend-setting interest rate twice this year to help cushion the blow from the sharp collapse in oil prices, which had a considerable negative impact on the economy. The lower rates have enticed people to borrow more. 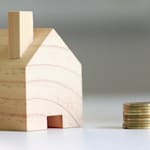 Last week, Statistics Canada said the ratio of household credit market debt to disposable income climbed in the second quarter of 2015 to 164.6 per cent, up from 163.0 per cent in the first three months of the year. That means Canadians owed nearly $1.65 in consumer credit and mortgage and non-mortgage loans for every dollar of disposable income. However, economist Jack Mintz said Thursday after the debate that he thought household debt concerns were "way over-exaggerated." Due to variable interest rates, Mintz said financing costs relative to disposable income have not gone up much over the past decade. "People are able to meet their mortgage payments without significant difficulty," said the University of Calgary economist. "I think where people are worried is that one day we may see higher interest rates." He thought the leaders were "quite weak" when they responded to the question on housing because they didn't really have an answer on how to help millennials enter pricey housing markets, particularly in Toronto and Vancouver. Mintz believes municipalities may actually have a bigger role to play in that area than Ottawa because he thinks they could adjust local land-use policies to make housing more affordable. The central bank has warned about the risk of a housing correction and estimated last December that real-estate prices were overvalued between 10 and 30 per cent in some areas. But it has also maintained in recent months that the sector is likely headed for a soft landing.